GREG BLACKMON, from Gary, IN, began his formal dance training in 2007 at Emerson School for the Visual and Performing Arts (while majoring in vocal music) and South Shore Dance Alliance under the direction of Larry Brewer. He attended Deeply Rooted Dance Theater’s summer 2008 intensive and the following year was accepted into the Ailey School’s summer intensive. 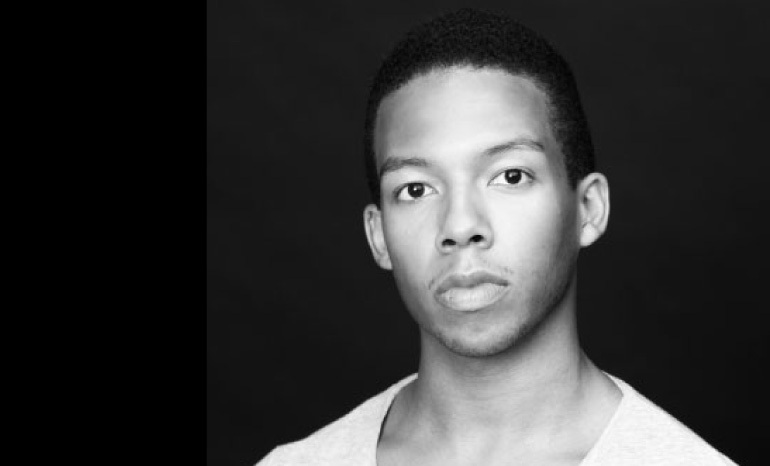 Greg trained in the Ailey School’s Independent Study and Fellowship Programs and was a member of the Student Performance Group. After leaving the Ailey School, Greg received a full scholarship to the Dance Theater of Harlem school and an apprenticeship with the DTH Ensemble. During his time in NYC, Greg was a member of Dance Iquail! and Opus Dance Theatre, Inc. and had the opportunity to work with world-renowned choreographers Sidra Bell, Camille A. Brown, Robert Garland, Christopher Huggins, Darrell Grand Moultrie, and Pedro Ruiz.. In 2011 he joined Eisenhower Dance Ensemble in Michigan where he performed works by Laurie Eisenhower, Joel Hall, and Harrison McEldowney as well as danced in the Detroit Opera House’s productions of Carmina Burana and The Pearl Fishers. Greg joined DanceWorks Chicago in September 2012.